I have written a number of articles on homoeopathy, several of which have been published in magazines outside of the profession. Here are a few that you might like to read. I have also written two books that have been well received by my peers, students and patients. MedicineFlows-Homoeopathic Philosophy. This is essentially a textbook for students. This book is available from the Practice for £15, so please call or e-mail for a copy. It is also available from Alternative Training and Amazon. Homoeopathy-A Rational Choice in Medicine. 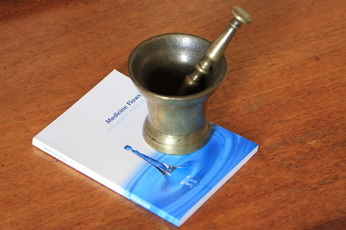 This has been written for people who want to know more about homoeopathy. It is pocket size and costs only £5. This book is available from the Practice so please call or e-mail for a copy. It is also available from Alternative Training and Amazon.